Jet2.com, more commonly known simply as Jet2, is a part of the Dart Group. In 1983, the Executive Chairman, Philip Meeson, established the airline operating as Channel Express, based at Leeds Bradford International Airport. 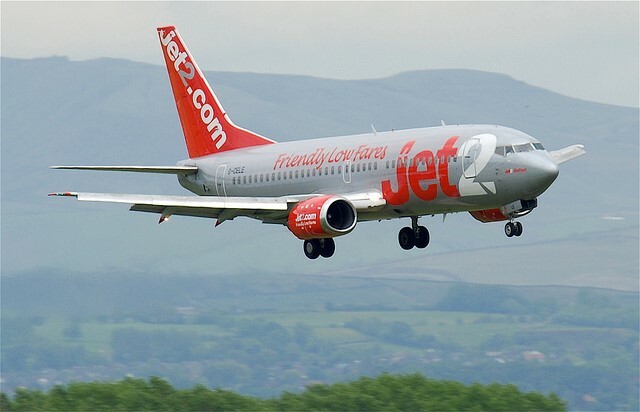 In 2003 the airline was re-branded as Jet2.com using the successful low-cost model and began operating the first route between Leeds Bradford and Amsterdam. Seven destinations were added focusing mainly on the Spanish Mediterranean resorts and carried over 600,000 passengers in the first year. Jet2 has become the fourth largest carrier in the UK, operating short and medium haul flights to 58 European destinations. Last year the company flew almost 10 million passengers and has expanded into the package holiday market and has almost 4,000 employees. In April 2018 Jet2 announced that all scheduled flights for Murcia would be transferred to Corvera from March 2019. Jet2 have started to advertise summer flights for 2019 to and from Corvera Airport. The first available date has been confirmed as Friday the 29th of March, with a twice weekly service to and from Leeds Bradford. A third flight is also planned to be added between June and September. Flights to and from Manchester will begin a little later in the year, with the first of the twice weekly service starting on the 1st of April. This will later be increased to a four time weekly service. Both of these services will be available until the 25th of October 2019. From 29th March Jet2 flies twice a week on a Friday and a Monday. From 29th May there will be a 3rd additional weekly flight on a Wednesday. The 3 weekly flights will continue from late May until late September when the Wednesday flight is dropped. From 1st April Jet2 flies twice a week on a Friday and a Monday. From 6th May May there will be a 3rd additional weekly flight on a Wednesday. The 3 weekly flights will continue from May until late September when the Wednesday flight is dropped. From 1st April Jet2 flies twice a week on a Friday and a Monday. From 6th May there will be a 3rd additional weekly flight on a Wednesday. The 3 weekly flights will continue from May until late September when the Wednesday flight is dropped. In order to check in for your flight at Murcia international Airport, go to the terminal where your flight departs from, or follow the instructions provided on your ticket.